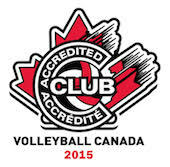 The Maverick Volleyball Club will be hosting a scorekeeping session in the cafeteria at Louis-Riel High School on Wednesday, November 11th 2015 from 7pm to 9pm. The session is divided in 2 parts. The first part is concentrated on learning and understanding the actual sheet itself. The second part will be to do the scoresheet of an actual match under supervision. This session is open to parents, athletes and coaches within the club and is offered at no cost. Registration is a must to attend.